It’s no secret that the automotive industry is facing more change – and disruption – than at any other time in its history. The trends of autonomous, connected, electrified and shared vehicles are rapidly changing the game … not only for automakers but also for the entire automotive supply chain ecosystem. This shift is driving an entirely new vehicle architecture and attracting a completely new set of electronics and technology suppliers into the automotive industry, as they seek future markets worth billions of dollars. In the past 26 years, we have helped many traditional and new technology automotive suppliers of all sizes to stand out in the North American automotive market. During that time, we have also dealt with many changes in the media and public relations environments. And we have also heard many opinions, presumptions and theories about the relevance of automotive PR. 1) We don’t need PR, our technology will sell itself. The old adage of “if you build it they will come” does not apply in the new mobility space. There is simply too much competition for attention, too much noise and too much confusion in the marketplace. The auto business is essentially a relationship business. Automakers are in it for the long term, and they want suppliers that will be able to work with them for years. 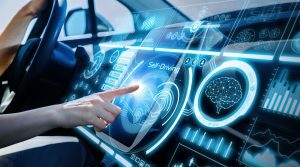 Therefore, today, auto suppliers need to be more strategic than ever, to rise above the competitive din with credible, clear communications about their technology expertise, products, services, features and customer benefits. PR can help you leverage earned media in trusted, credible industry journals – and provide a platform for your technology to become known and perceived as a leader and a preferred partner in the industry. 2) We don’t need PR, because our customers and prospects get all of their information from our website or portal. Conducting an aggressive inbound marketing campaign or building an expensive portal or a content-rich website does not guarantee that a prospect will visit it. Most customers are not interested in your story; they are interested in solving their own problem. So, if they conduct an online search, they are looking for a credible solution, not for a company’s story. Will your company come to the top of those searches? Today, online success starts with search engine optimization (SEO). • Creating an appetite for more detailed information, while driving interested prospects to your website, where you can engage with them and provide additional touch points as you move them along the sales process. 3) We don’t need PR, we only have 15 automaker customers and they know our sales people. Are you sure that ALL of the people at your customers – all the many players who influence the specifying and purchasing process – are aware of your company, and all of its products, services and expertise? With corporate restructuring, downsizing and retirements increasingly changing the decision-makers at automakers and major suppliers — as well as the constant migration and shuffling of executives within global companies — your connections to your customers’ key engineering, purchasing and manufacturing decision-makers are always at risk. What are you doing to stay top-of-mind and build trust with the new generation of executives that are moving into the top jobs? Do the new automaker players that are moving into the market know you? What about new potential technology partners? PR can help build continuity in your overall brand awareness, positioning and relationship building with all the right people. 4) We don’t need PR, because the automakers base their purchase decisions solely on price. If your product is viewed as a commodity, the buying decision will ALWAYS be based on price … and your business will ALWAYS be at risk. Automakers are looking for suppliers who can help them differentiate their vehicles with consumers – and command higher value. So, as a supplier or technology provider, demonstrating and differentiating the value that your product brings will help you rise beyond the commodity providers to be seen as a valued (and valuable) partner. PR can help you effectively communicate how your product or service adds value, creates consumer interest, improves utility, reduce warranty cost or boosts emotional appeal, which in turn can help you command better profit margins. 5) We don’t need PR, it’s too expensive. Actually, PR is usually the most cost-effective of all promotional activities in today’s marketing mix, especially considering the targeted audience and the powerful credibility it brings. Media coverage in the right media outlets is viewed to be up to 10 times more credible that advertising or sales promotion messages. PR can actually help to enhance, support and amplify your advertising, digital, social media marketing, trade show and sales promotion activities. Beyond that, as added benefits, good PR can also help you attract desperately needed talent, build community support where you do business and enhance shareholder value. Social media is not the silver bullet. It is just one tool in a complete marketing toolbox. But when used in tandem, strategically, with more traditional and digital PR techniques, you can crystallize your messaging, extend your reach, amplify your company’s position as an expert or thought leader, boost your search engine visibility and actually drive more traffic to your online properties … and ultimately to the sales funnel. The bottom line: PR is crucial for success in the automotive supplier environment, especially for new Silicon Valley technology firms who are trying to break into the automotive sector. • Has senior staff with deep automotive supplier experience who will work directly on your campaign. If you want to learn more about that kind of PR partner, email Jim Bianchi at jbianchi@bianchipr.com or call 248.269.1122 for a free consultation.